Lee Ann’s latest recording is now for sale on Audible. A riveting true crime book published by Crossroad Press. 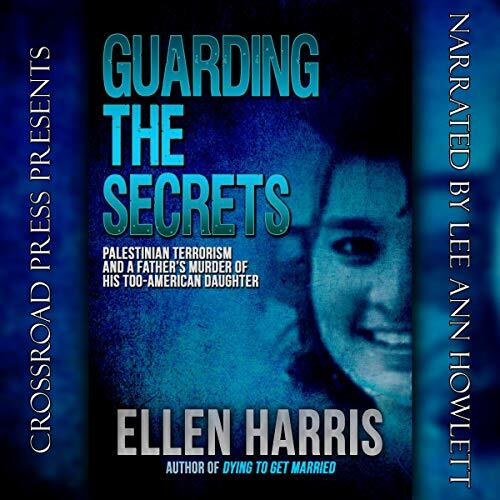 Guarding the Secrets: Palestinian Terrorism and a Father’s Murder of his Too-American Daughter is one of two books by Ellen Harris that Lee Ann has narrated. Guarding the Secrets recounts the terror-stricken life and murder of 16-year-old Tina Isa, who was condemned by her other family members for becoming Americanized, before her father, an accused Palestinian terrorist, murdered her in November 1989. The killing was recorded by accident due to the FBI having bugged the house in an attempt to prove the father’s ties to terrorism. The events leading up to the murder are expertly told by author Ellen Harris, including Tina’s older sisters urging their father to kill their younger sister. Posted by lahowlett on December 8, 2018 in Uncategorized and tagged Audible, audiobooks, Crossroad Press, Ellen Harris, murder, nonfiction, terrorism, true crime.